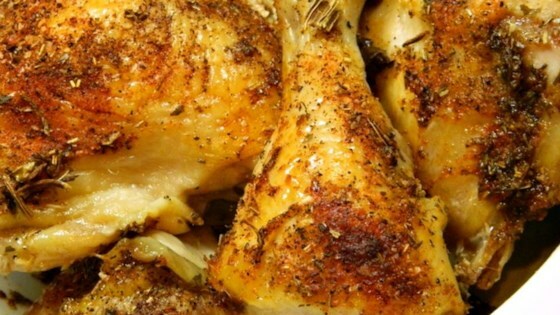 "Herb and smokey spice blend that complements chicken." Stir celery flakes, salt, paprika, garlic powder, onion powder, thyme, sage, black pepper, rosemary, and cayenne pepper together in a bowl. Transfer spice mixture to a spice grinder or food processor and blend until smooth. This rub is salty as hell. Next time I'm going to use a third of the amount of salt recommended..